Price reduced further for a quick sale, highly motivated sellers. Watch your kids play at the playground or walk to public transportation, schools, shopping & other major amenities from this excellent starter home or investment property in Evergreen. 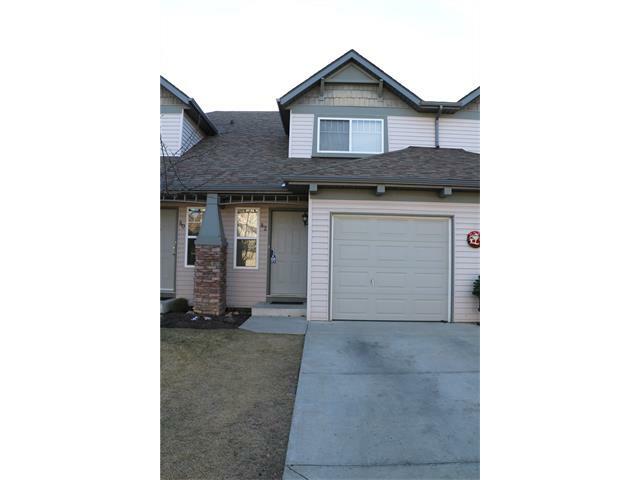 One of the few 3 bedrooms, 1.5 baths units at this complex, this unit features an open concept floor plan, living room w/ a gas fireplace, good sized kitchen, dining room & unfinished basement awaiting your development ideas. There is also a single attached garage. Vacant for immediate possession! This property is listed by RE/MAX Real Estate (mountain View) and provided here courtesy of WILLIAM OSUNDE. For more information or to schedule a viewing please contact WILLIAM OSUNDE. This site's content is the responsibility of WILLIAM OSUNDE, licensed REALTOR®(s) in the Province of Alberta.